I’ve been there, too. One of the games I created reached number eight in educational games in the app store. My second app also generated a big zero. However, after some tweaks, that same app generated the biggest revenue of my life. So, what does it take to revive a dying app? Sometimes, the problem is in your app, other times you’re just unlucky. But, if you really focus on a few things at the right time, you can turn your app downloads around. This is one strategy that helped me a lot. While I was on the brink of giving up on my paid app because of lack of downloads, I launched it for free. 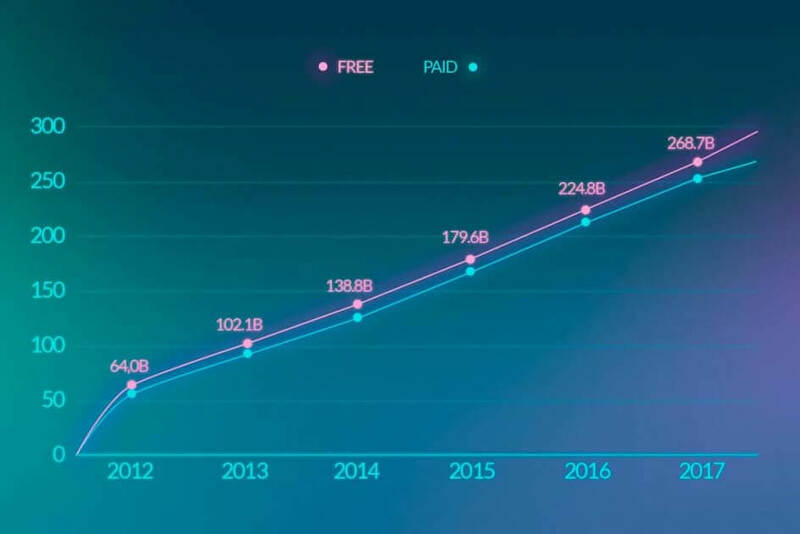 Despite the fact that the app was originally a paid one, I launched it as a free app and generated 5,000 – 10,000 downloads. This strategy also helped a few of my mobile app development clients. But bear in mind that a paid app is not the same as having in-app purchases. In-app purchases can be annoying, and unless you have the knowledge and experience for how best to optimize these, most people will probably ignore them. Get the most out of holiday seasons: People tend to spend more when they’re on vacation or off work. Time your pricing accordingly. Try bumping up your prices in the period before a major holiday, then offer discounts around the holiday to entice people to take advantage of the savings when they’re already most likely to be making purchases. The magic of “only”: Sometimes the little things we do create a lasting impact. Try adding the word “only” to your campaign and see the results. Call-to-action: Create visible buttons to tempt your users to convert. That’s the number of mobile apps in the iOS App Store, with thousands of similar apps overwhelming every category and subcategory. With all of this competition, you might think that focusing only on low competition keywords is a good strategy, but this will destroy your app downloads. If you really want to succeed with your app, you need to optimize for the largest audience possible given your keyword competition. When I conducted app store optimization, my downloads increased by around 277%. Make an app video: In a survey, it was concluded that apps with videos were downloaded 40% more than apps without videos. The first three lines are the most important: In your app description be specific about what you want to sell. You need to place your main keywords in those first few lines. Use keywords to title: Use your best keywords in the title to gain a higher ranking. Screenshots: Use the first two screenshots to showcase your best features. Update your app description: Stay up-to-date with the latest policies of your app store. 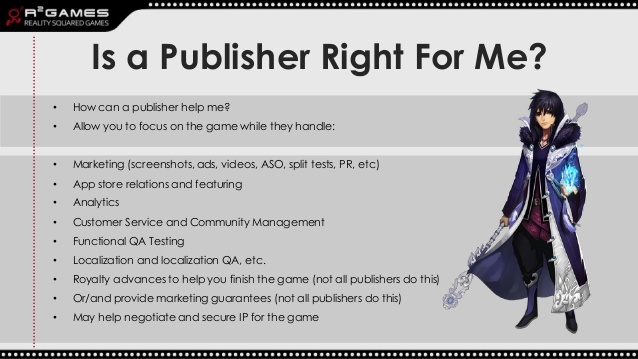 Maybe you started out with the intention of self-publishing, but if you really want to save your mobile game from dying, seeking outside help could give you the boost you need. Apart from sales and marketing, many publishers can also consult on the technical aspects of your app. There are many mobile game app publishers in the space that can get you immediate downloads. Publishers that include General Games, Fortafy Games, and Ketchapp, to name a few, have relevant knowledge and app store connections that can help you with cross-promotional activities to help make your game an instant hit. One key factor in successful mobile app development is the design used to create the app. If you’re facing problems, try changing the design of your app. Constantly test new designs to optimize for app downloads. Experiment and see which changes are returning value. Study the successes and hammer on them. 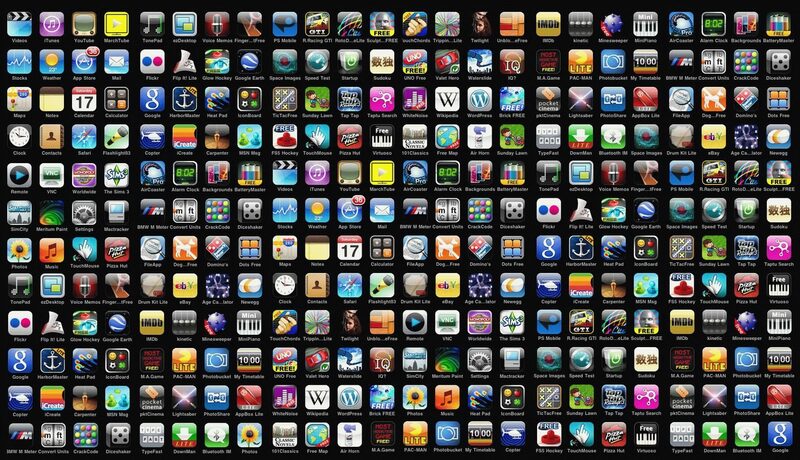 Test different variations of your app icon: Rich Wagstaff, an independent developer, doubled his app downloads simply by changing his app icon. Don’t reinvent the wheel: Why try something new when you already have brands with proven design successes? Take inspiration from strong brands and analyze what design elements they are using for their app. Play with colors: Of course, you won’t hit the jackpot instantly. You have to experiment and see what works to increase your app’s downloads. When you really want to boost your app downloads, run Facebook ads. But you need to make sure that you have a strategy in place. Andrew Hubbard of Smart App Marketer suggests starting with a $25-to-$50-per-day budget and testing three different ad sets, with the budget split evenly among the three. Be sure to track the progress of the ad with an analytics tool. 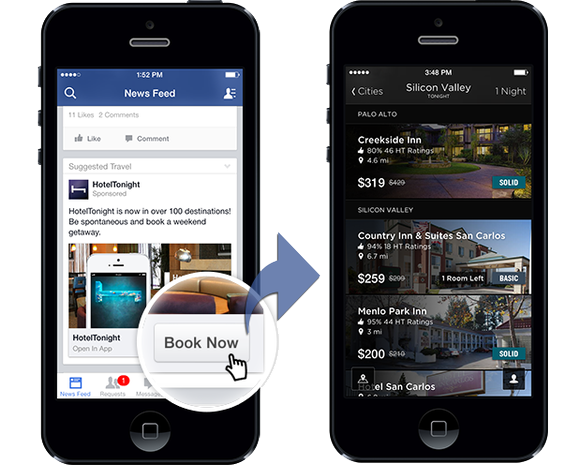 Install the Facebook SDK in your app and test different ad designs. Know your audience: Are you selling to the 15-to-19-year-old target? Is your app for middle-aged dads? Or do you want to target women who like to cook? Make sure you answer these questions before you design your ad. 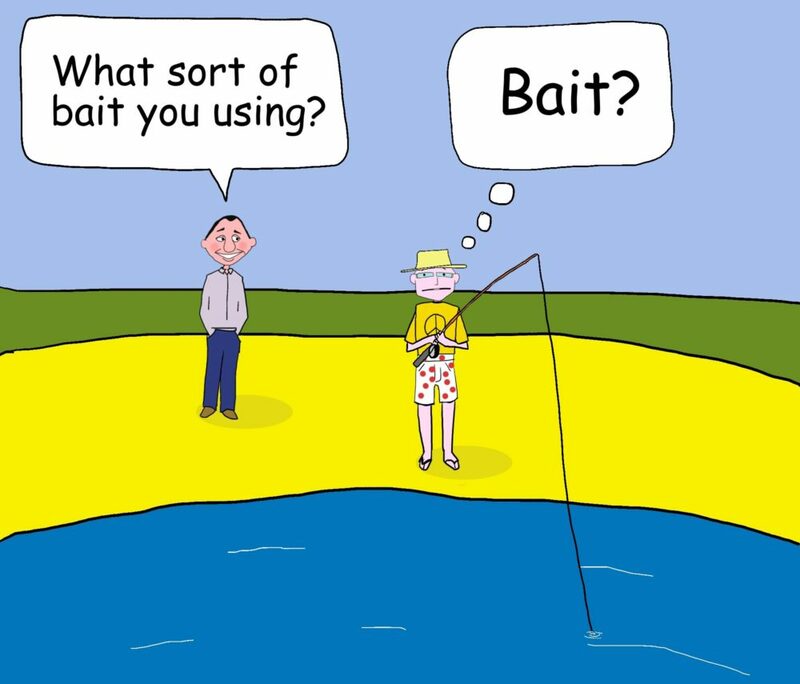 Try retargeting: Retarget ads to your audience who already showed interest in your app. This keeps your app on their minds, develops their trust, and encourages conversions. Test, pivot, and test: Don’t cry over one failed campaign. Simply try a new strategy. If that doesn’t work, try something different. You probably wouldn’t prefer this. But if you really need to move on and need the cash, you can sell the app and start building a better one. Study what worked and what your constraints were in your previous app. Make the necessary changes and redesign it. Figure out what you need to learn to improve your workflow this time around, from market research to coding to app marketing. No one always succeeds on the first try, but that doesn’t mean we stop trying. Selling your source code is the last resort, but this might just be the motivation for you to move on to bigger and better things. Irfan Ahmed Khan is a brand strategist, digital marketing expert, and blogger with a digital marketing agency who has served many brands with his expertise. Learn how Instabug can help you build better versions of your app, increase ratings, and drive five-star reviews.